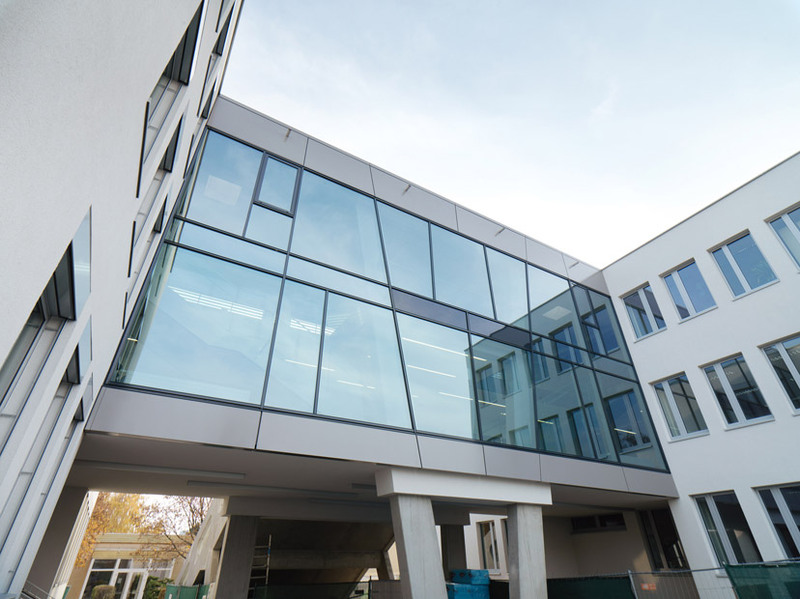 In the course of its technical and functional renovation, the existing school building was given a modern appearance. The original concept of the school complex, which was strictly symmetrical, was restored by removing later additions. A two-story glazed connection wing between two classroom towers provides a spacious recreation hall with a view, in addition to the requisite emergency escape.